The old model of distribution doesn’t work in today’s evolving media landscape. The MediaStorm Platform is the toolset for professional content creators who want to control how their work is viewed, distributed, and monetized. The first industry-standard solution built from the ground up by an award-winning production company, the MediaStorm Platform empowers serious independent media publishers. Since its inception in 2005, MediaStorm has led a paradigm shift in digital storytelling, creating compelling narratives that get noticed. We know how to run a storytelling business. Join the growing community of conscientious creators ready to disrupt the distribution model by putting power back in the hands of mediamakers. Sign up to be notified when the Platform is available. guiding viewers through your content. 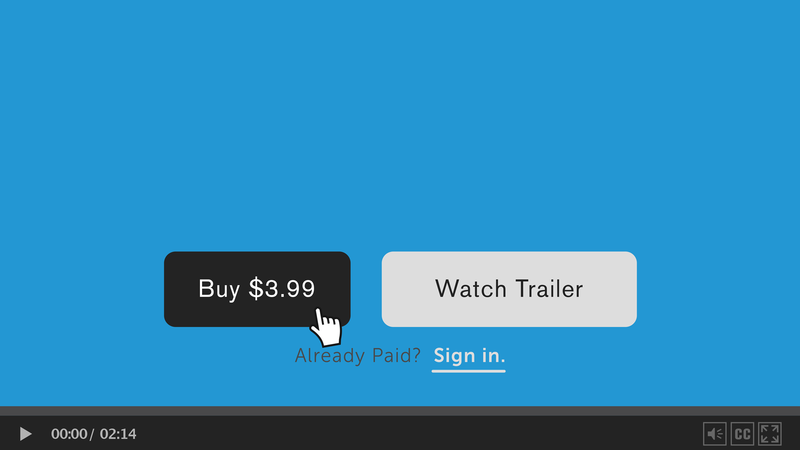 Our Pay Per Story and Subscription features allow users to securely pay for streamed video without ever leaving the Player, no matter where it's shared on the Web. You can feature merchandise from third-party retailers like Amazon and iTunes in a portable storefront within the Player, so every new share is a new point of sale. The MediaStorm Platform empowers your audience to distribute your work. 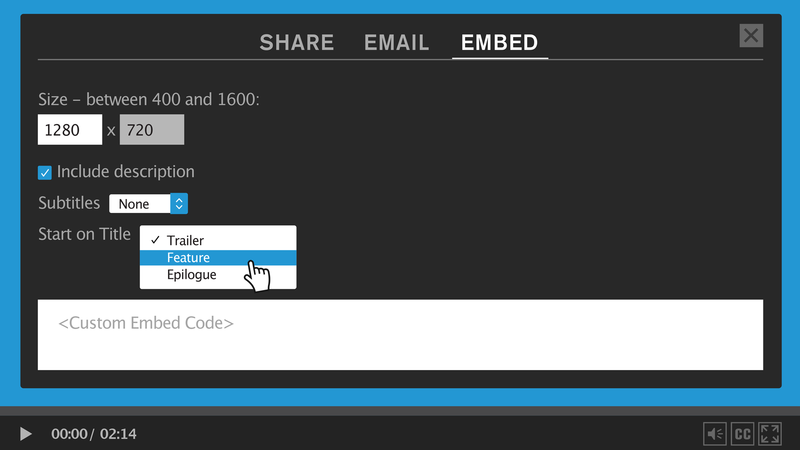 Using trackable embeds, you can see where your content is embedded and even disable an embed if necessary. Each embed keeps its full set of features, functionality, and content. Detailed metadata makes your content easy to find online. The Player lets you attach a wealth of metadata to your videos, including project descriptions, related links, and a customizable menu to inform and engage your audience. 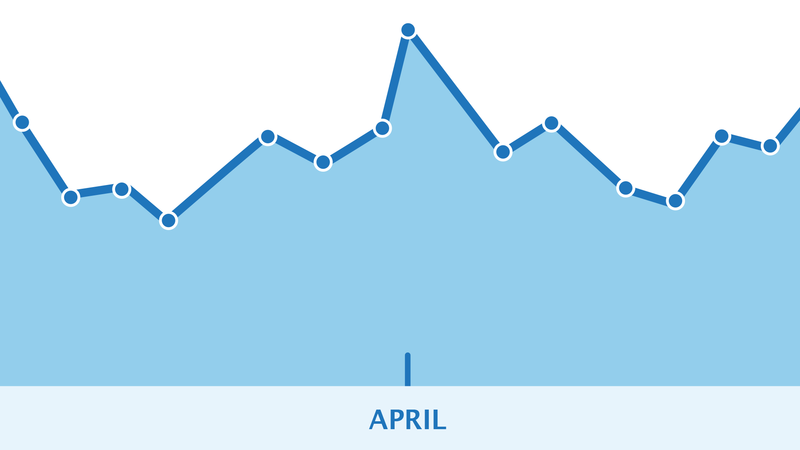 Analytics makes it easy to track who is watching your content including completion rates and granular usage details. 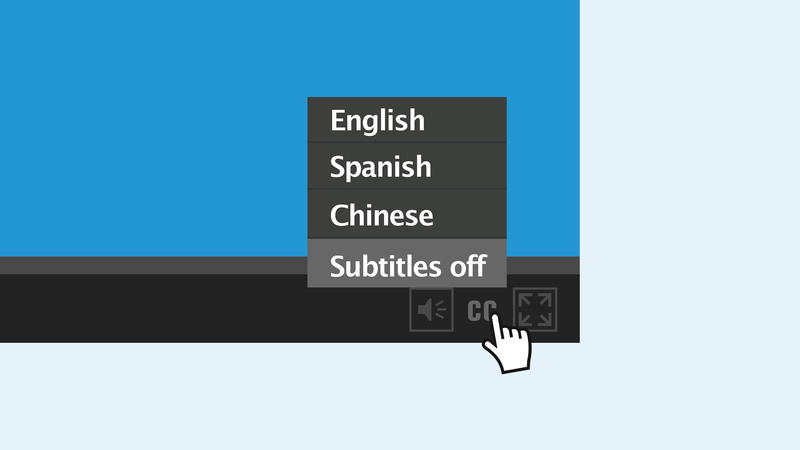 We’ve developed an easy solution to the tedious process of subtitling. Subtitles are stored independent of your video file, allowing you to update, enable, and disable them in real time and add multiple languages. Other distribution platforms offer to host your work on their servers by marking up the cost or in exchange for a profit-share. The MediaStorm Platform gives you full command of your media to become truly independent. Brand the Player with easy-to-customize settings. Add your logo, choose your colors, add an optional video bumper anywhere in the playlist. Third-party advertising integration lets you play targeted ads according to metadata. If you have a sponsor, it's easy to promote them in your player. Sign up to receive updates about the MediaStorm Platform.